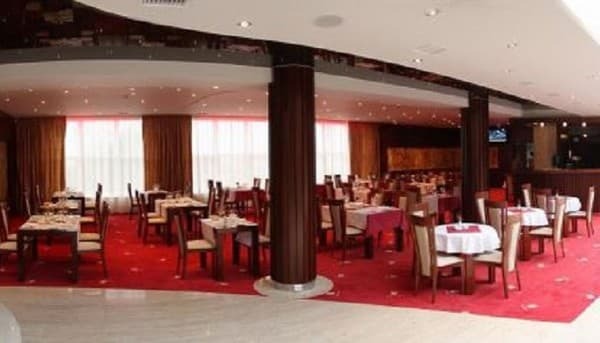 Hotel is situated near the airport, in a picturesque forest part of the city. 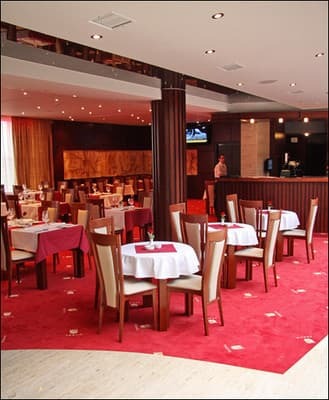 According to the demands of a four-star hotel we offer you 44 comfortable rooms for accomodation. Our rroms are equipped with everything necessary both for rest and successful work: Internet, telephone, space television, fridge, climate system, safe, inner and outer 24-hour security of the hotel. 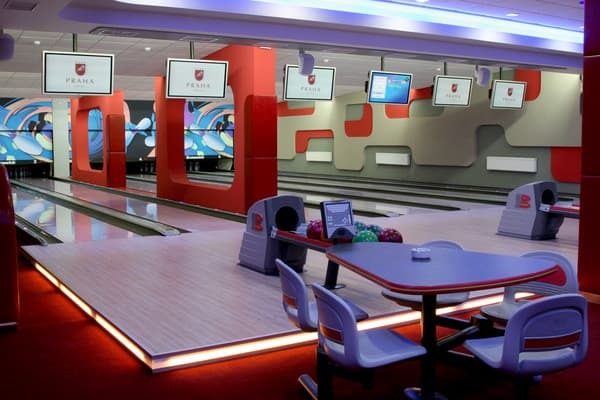 We offer you a variety of extra services: beauty saloon, SPA saloon, 24-hour room service, lobby-bar, restaurant, bowling, summer terrace, sport bar, conference-hall, VIP-hall. At the service of our visitors are also: laundary, dry-cleaning, cloak-room, mail delivery to the room, fax, international telephone line etc. Description of the room: Room "Wood House" with an area of ​​21 m², which embodies the idea of ​​ecological design, is located in a quiet oak forest where you can enjoy fresh air and a quiet atmosphere. It is located in a three-storey wooden cottage "Wood House" in the style of "Country". 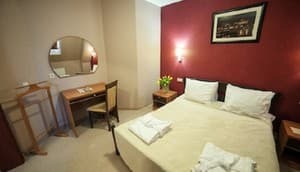 Description of the room: A modern room of 20 m² is designed for travelers who prefer maximum comfort, focused on a well-organized space. They are designed in modern style and equipped with everything necessary for recreation and for successful work. 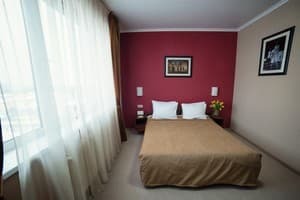 Description of the room: The cozy room of 16,7 m ², decorated in pastel colors and equipped with everything necessary for rest and work. Description of the room: A spacious room of 30.1 m² is a convenient option for families traveling with children. The functionally organized space of the room is a wonderful combination of comfort and comfort. The windows overlook the oak forest, so there is a quiet and tranquil atmosphere. 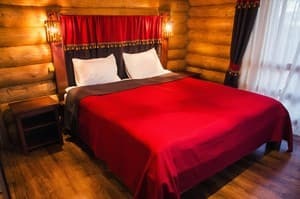 Description of the room: Spacious and luxurious suite with a large double bed. 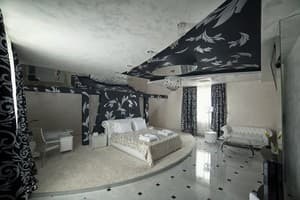 Also in the room there is a coffee table, a separate lounge area, two telephones with direct international connection, an individual bathroom with a mirror wall coating: a shower cabin with massage, a makeup mirror lighting, a professional hairdryer, cosmetic products. 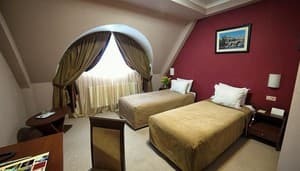 Description of the room: A spacious room (35 sq.m. ), divided into two zones - a bedroom with a large bed and a living room: a sofa bed, a table, a TV set with cable TV; bath (mini perfumes, hair dryer, bathrobes, slippers). 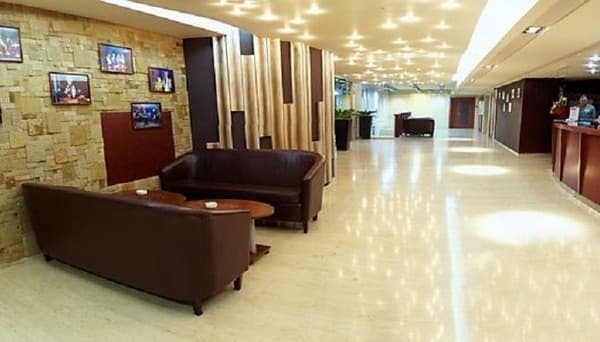 The rooms are designed in modern style and equipped with everything necessary for recreation and for successful work: Internet, telephone, satellite TV, refrigerator, climate system, safe, internal and external security around the clock. We offer a wide range of additional services: beauty salon, spa salon, 24-hour room service and a lobby bar. Also at the disposal of guests - laundry, dry cleaning, luggage storage, delivery of correspondence to the room, fax, international telephone, etc. - for children under 2 is free. - for children from 2 to 6 - 80,00 Uah. - for children from 6 to 15 - 110,00 Uah. - for adults - 180,00 Uah. 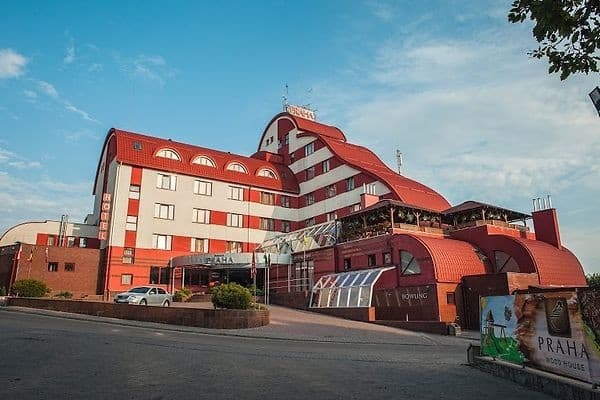 Hotel is situated within the town boundaries Uzhgorod, 2 km from the centre, 1 km from the airport and 1 km from the boundary with Slovakia. Railway station and bus terminal are in 5 km from hotel. Airport - 1 km from hotel.